The quarantined states are Arizona, California, Colorado, Idaho, New Mexico, Nevada, Oregon, Utah and Washington. Thousand cankers disease has been detected in all of these states except Nevada, which is surrounded by affected states. The disease is caused by a fungus in the Geosmithia genus, which is carried around by the walnut twig beetle (Pityophthorus juglandis). 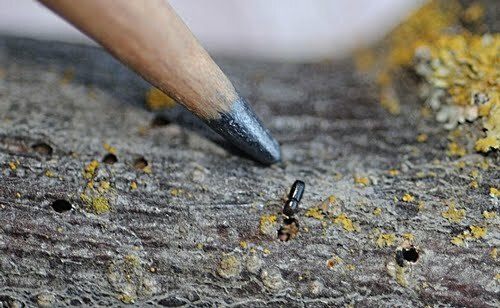 The beetle was just another bug until it joined up with the fungus, but together, they are wreaking devastation on black walnut forests in California and elsewhere.